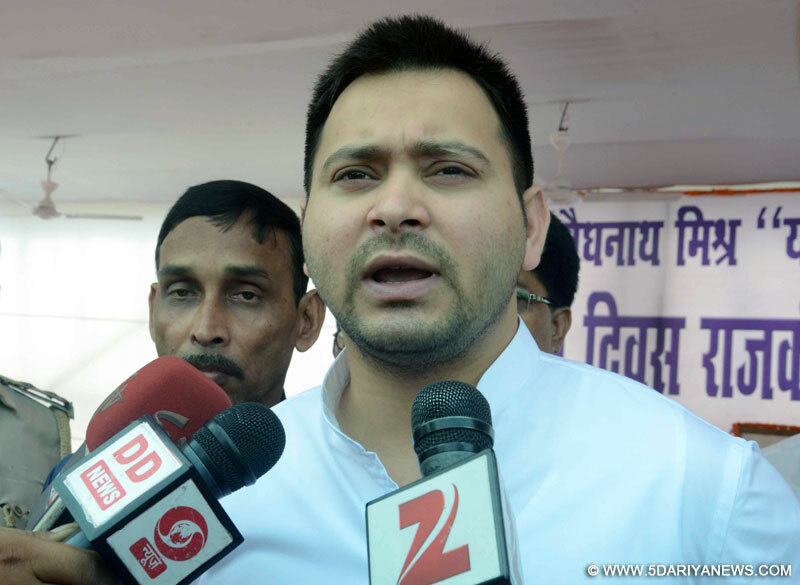 The 26-year-old, Tejaswi Yadav, who has become Bihar's most eligible bachelor after receiving 44,000 marriage proposals on WhatsApp, has said he will marry the girl of parents' choice. "I will marry as per the wishes of my parents and the girl they select for me.I will simply prefer an arranged marriage decided by my parents," Tejaswi said.Tejaswi told IANS, his parents, RJD chief Lalu Prasad Yadav and former Bihar Chief Minister Rabri Devi, would decide his marriage just like they decided his political career. "Mere mata-pita ki pasand hi meri bhi pasand hogi (My parents' choice will be my choice, too)," he said.With this statement, Bihar's Deputy Chief Minister put an end to speculation and breaking many hearts, a Rashtriya Janata Dal (RJD) leader close to him said.Incidentally all his seven sisters had arranged marriages. Tejaswi received the marriage proposals on the WhatsApp contact number which he had provided for complaints over bad roads.According to an official of road construction department, "Out of 47,000 messages received on the number, nearly 44,000 were personal messages proposing marriage to Tejaswi. Only 3,000 messages were related to road repair. "He also said that most of the girls provided personal information, including figure statistics, skin colour and height to the young politician, who is also the Public Welfare Department minister. The cricketer-turned-politician, who is also tech-savvy received the messages from "the young women who mistook the number provided by the ministry as his personal contact," the official added.Tejaswi joked that such personal messages could have landed him into deep trouble had he been married. "Thank God, I am still single," he said.Tejaswi and his elder brother, Tej Pratap Yadav, who is also the Health Minister, are among the top most sought after bachelors in Bihar.